We all wanted that perfect body curve, sexier side of us, and of course slimmer body. Are you tired of your heavy body that you are thinking to lose weight in as fast as possible? Then surgeons can help you with that. A lot of people today around the world are suffering from obesity which leads to many different kinds of diseases and illnesses. Achieving that perfect body is now easy. You don’t need to stress yourself with muscle pains and sleeping pills anymore. The all new and painless liposuction surgery is ready to serve you. Bother no more about your belly fats, and excess fats in your body. The procedure is 100% safe and result is immediate. Just make sure to get the perfect doctor and genuine clinic that is accredited to have operation. Before proceeding to a more detailed part, let’s talk about the meaning of liposuction. It is a very common term, but what really is liposuction and how can it be helpful to your body? So, what is liposuction surgery? – Liposuction is also known as lipoplasty or fat modeling. It is a surgical procedure that removes excess fats from a certain part of the body. The doctor will suction excess fluid out of the body but before that they need to loosen fat cells in the body. The most common body parts that liposuction can be performed are in the abdomen, upper arms, thighs, neck, and cheeks. Other patients who undergo breast augmentation also undergo liposuction. Actually there are different liposuction techniques that surgeons can perform but it depends on the body part and the amount of fats that needed to be removed in your body. For women, the most common body parts to do liposuction are on the abdomen and thighs while male patients usually seek liposuction on their flanks and abdomen. In that matter, the doctor will talk to you on what kind of technique you need. In doing liposuction, permanent result is guaranteed, however, in order to maintain your figure you need to maintain healthy lifestyle after operation. Eat healthy foods and make sure to do exercise to maintain body posture. Do you want to have liposuction? Are you the perfect candidate for liposuction surgery? To see if you are the perfect candidate, the surgeon will analyze your natural anatomy. The checking is done during preoperative meetings with your doctor. The patient should understand that liposuction is not a good solution for unhealthy lifestyle but it is a solution for those whose body is not responding to diet and exercise. The patient should realize that liposuction will not tighten skin but just remove pockets of fats. If you are struggling in losing weight even though you did a lot of workouts and exercise then you are the best candidate for liposuction. You must have a general good health and within 25 pounds of weight. With regards to age, most surgeons want their patients to be at least eighteen years of age. The most critical people to do the operation are the elderly because they have less elastic skin. It would be perfect if the patient have elastic skin and can easily adjust to the new shape after the operation. The most perfect age that can undergo liposuction is age between 30 and 50 years old. But if you are suffering from diabetes or heart problems then you are not a qualified candidate because it can increase the risks of complications and side effects in your body. Be sure to check every illness or disease that you have before doing the operation. Let’s go into deeper note, the liposuction surgery itself. What really is liposuction surgery? There are different liposuction techniques just like I said above but they differ in ways on the wet solution used and the method of getting out of body fats. Before the surgeon starts the operation he applied wet solutions on the targeted area. The wet solutions differ on how much fluid is used. Why the surgeon needs to apply wet solutions? It is because it minimizes blood loss. The solution contains saline or salt water and epinephrine. The epinephrine is used to contract blood vessels to minimize bleeding. Before doing the surgery, you and your doctor will discuss on what specific fat pockets are being target in the operation. Surgeons will mark the target area of the body. They draw marks on target area. After doing so, you will be placed under general anesthesia but of course you can choose on what anesthesia you wanted, others preferred local anesthesia. From thirty minutes to five hours is the time span of the operation. This depends on how much fat is being removed in your body and the area where the operation occurs. The surgeons vacuums out the fat from the body. In doing it, they use a cannula that connects to the fat suctioning device. Cannulas range in size but usually about 3 mm in diameter, the smaller the cannula the less post-operative bruising. It is an ordinary scenario that after the operations bruises and pains are there. Usually your surgeon will give post op medications depending on your needs. And rest is necessary after operation. Only walking and mild stretching are allowed. There are activities that should be avoided for at least a week or more depending on the body part where operation happens, it includes sexual activities, heavy household chores, and vigorous exercises. In every operation, preparations are really necessary. The first step in preparing for your operation is the in-depth talk with your doctor. They will assess you regarding in your anatomy, medical records, and they will give information on what are the techniques that are suitable for you. They will make sure that you are a fit candidate for the operation. They will also inform you on what are the possible risks and side effects that you may encounter during and after the surgery. If you are taking medications that can cause blood thinning like aspirin then your doctor will surely tell you to stop taking those medications because they can interfere with your surgery. Smokers need to stop smoking in the weeks leading up with the operation. The day before the surgery your doctor will provide a list of instructions and this may include certain dietary restrictions. Part of the preparation is the planning of your liposuction recovery. You may need to have someone drive you home after the operation and your doctor will prescribed you certain medications for your postoperative recovery. Keep in mind that the preparations are made on purpose. You need to follow each and every preparation that your surgeon will require to avoid complications and side effects. Remember that these preparations are made for your own safety. These are just hints and tips that you should take into consideration because it will surely help you. The operation for lipofilling alone usually takes between 45 minutes and 1 hour. You will expect swelling and bruises. These are all normal and should be taken cared of. You will be instructed to take all of your medications on time and don’t move a lot to allow proper healing. There should be no high impact exercise or activities for approximately 2-3 weeks, depending upon the extent of the surgery. The area is usually swollen after the treatment and sometimes bruised, a cold pack, i.e. a bag filled with ice can be soothing. The swelling and bluish colour gradually clears up a few days after the treatment. With a reasonable skin concealing cream product, you can disguise any skin discoloration, allowing you to resume your social life more quickly. In every operation, patient should be aware of the risks and side effects. With liposuction complications are very rare. Complications differ from different liposuction techniques. Make sure that you know all the risks and side effects before proceeding with the operation. Discuss with your surgeon on what are these side effects you may encounter during liposuction recovery. In broader idea, the greater the fat removed means the higher risks of complications may happen but that’s not always the case. The following list below is the common side effects of liposuction. Infection can occur after operation but can be prevented using medications. Nerve damage is one of the rarest complications after the operation. Skin necrosis is a form of cell injury that results in the premature death of cells. Fluid imbalance is common to retain large amounts of fluid for several days after surgery that causes swelling of the body area affected. Anesthesia reactions like allergies, headache and nausea. Seizure is the rarest side effect of liposuction but it can happen sometimes. Dissatisfaction with results due to imperfect procedure targets. Skin irregularities like wrinkling and dimpling of the skin. Contour irregularities because liposuction is not always precise as what patient’s own desire. But the list above is just a common risk. 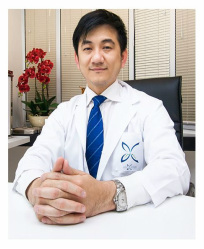 In general, liposuction is safe and reliable treatment. Just pick the best surgeon that will suit your needs. Get the more experienced one for your own security.